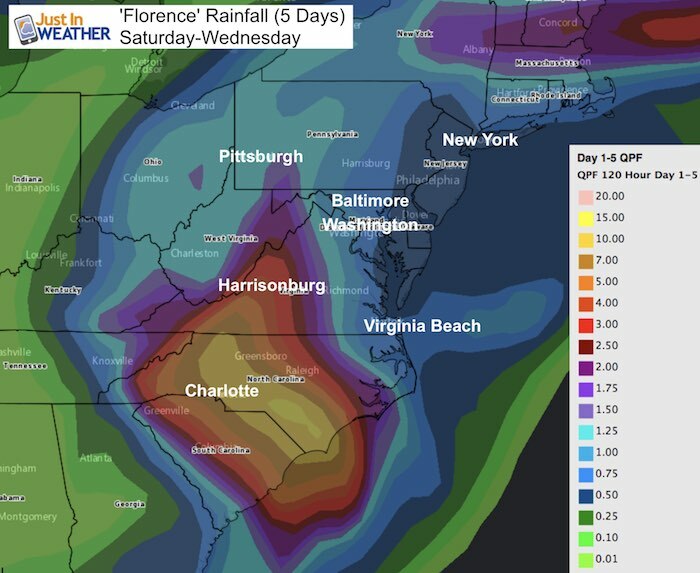 Tropical Storm Florence is located west of Myrtle Beach in South Carolina this morning but the wind flow continues to pump the heaviest rain and ocean water into North Carolina. As the storm crawls and hits the same areas today, we are watching some dry air try to erode away the clouds on the north side. Yes, some parts of our area will get sun today making for the nicer weather I suggested this weekend. 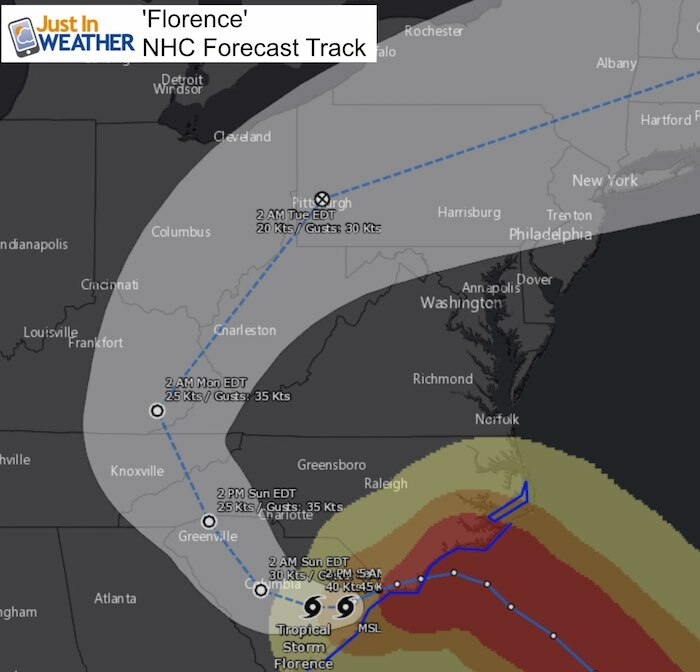 We are still watching the forecast curve Florence back around to bring us rain Monday and Tuesday. 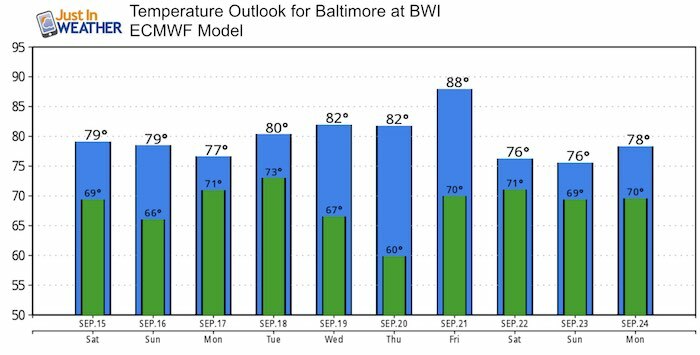 The long rang outlook shows a cool down and pattern change with a hint of autumn coming our way. 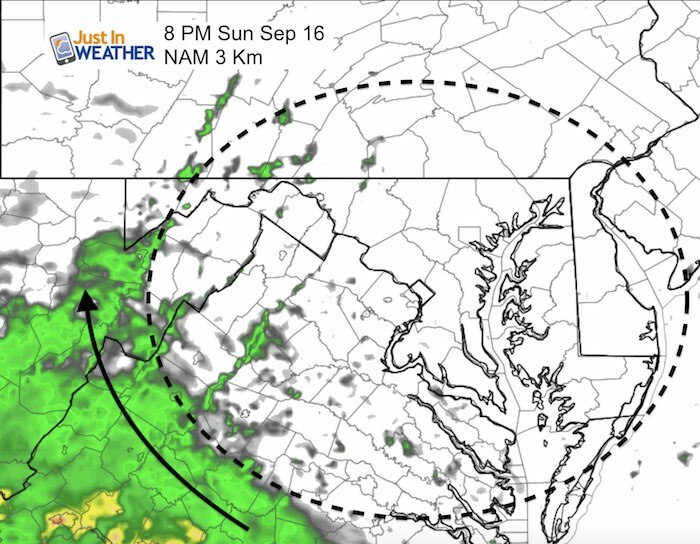 This is a product from the HRRR Mode showing the dry air trying to filter in from the north. 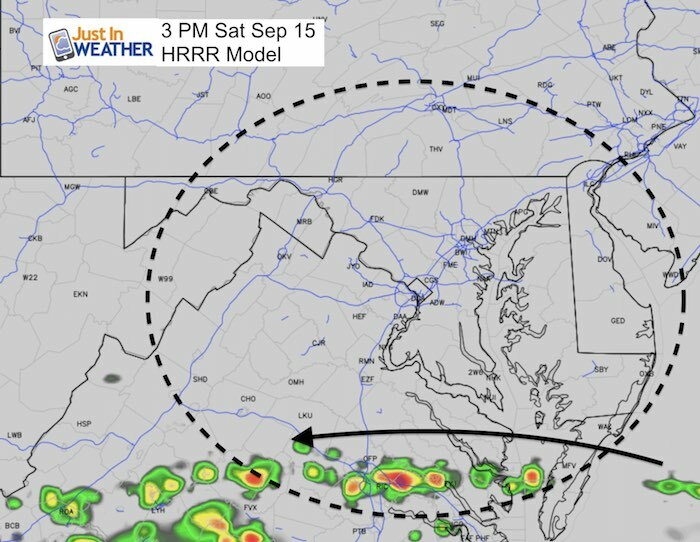 The sky should turn partly to mostly sunny in southern PA and I expect sun to break between the clouds in central Maryland and northern Delaware. The dry air is filtering on NE winds, but they are relatively light. 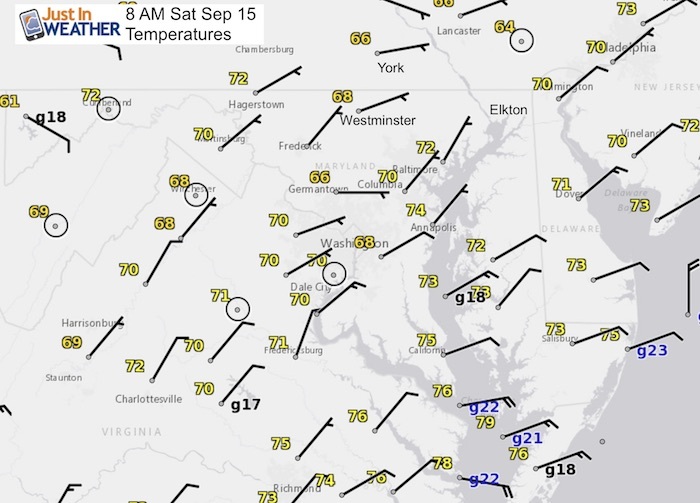 The strongest winds on in southern Maryland and Southeast VA with gusts over 20 mph. The Northern band of Florence is accepted to be in southern Virginia. 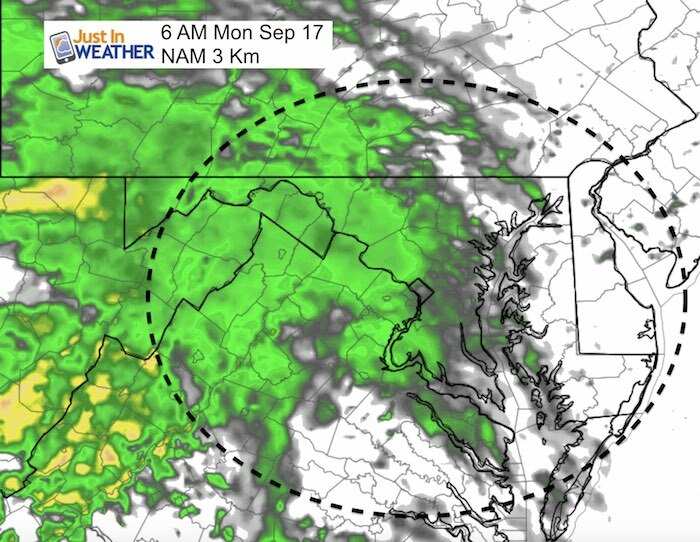 The rain begins to show a push to the north into the mountains of West Virginia and showers in western Maryland. 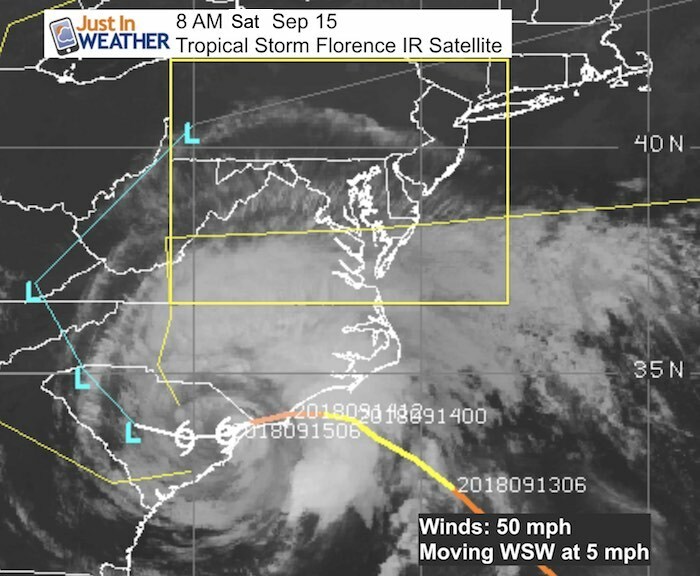 The remnant Low of Florence will pass to our north. We will get some heavy downpours and a small chance of severe storms Tuesday evening. The next sign of a pattern change will be next weekend. The longer range jet stream looks like we get into the cool stuff for the last week of September. But first we need Florence to depart.